PIA-Pakistan International Airlines will be reducing its flights to JFK this winter season by flying to the airport only twice a week from October 28th 2007. Both flights will be flown using a Boeing 777-300ER from KHI via Northern Pakistan and Manchester to JFK. Flights will be flown on Saturdays and Sundays only. It's a well known fact that PIA has been losing money on its JFK route for many years now and the situation is bound to get even worse with the expansion of EK, EY and QR on the U.S. East Coast. The U.S. East Coast-PAK market is much bigger than the YYZ-PAK market and yet the latter has more weekly flights than the former! Even if PIA needs to reduce JFK to twice a week services, it is unheard of to fly a route twice a week one day after another in the way PIA is doing at JFK from Oct i.e. SAT & SUN. In order to control the financial bloodshed that its suffering, it might be wise for PIA to completely withdraw from USA altogether rather than continue to bleed $$$ flying this route for prestige purposes. PIA can do this by getting a good trans-atlantic SPA deal with AA, UA, VS, DL & CO out of LHR, MAN & BHX respectively for their North American passengers by flying them from PAK to UK and then feed them to these carriers via the UK to USA. In this manner, they will be offering a convenient ONE STOP product from all major USA cities via UK to all 3 major Pakistani cities on a DAILY BASIS which is much better than flying twice a week KHI-LHE/ISB-MAN-JFK on Sat & Sun !!! The carrier also announced that it will be launching flights to Riyadh, Bangkok and Jeddah very soon. Both Saudi cities will be served twice a week nonstop from MCT where as BKK would be served 5 times a week. RUH will receive a B 737-700, BKK will get the A 310-300 and JED will get a B 737-800. Lastly, the airline has struck a deal with Kuwait's ALAFCO leasing company to lease 6 Boeing 787-800s for 12 years with the first model being delivered in 2012. WY should tweak their schedules a little bit (depart MCT 10-15 minutes earlier) to allow KHI pax to connect via MCT to LGW in both directions. Under the planned schedule, the outbound KHI-MCT flight has a 45 minute transit in MCT if the passenger's final destination is London Gatwick which is too little as the minimum legal connecting time at MCT airport is 50 minutes. However, inbound from LGW, there is a convenient 90 minute transit at MCT en-route to KHI. Malaysian Airlines has announced that it will be launching new flights to Lahore, Pakistan from Kuala Lumpur effective January 7th 2008. The flights will be flown 3 times a week and in a triangular manner i.e. KUL-KHI-LHE-KUL. MH will use the Airbus A 330-300 for this service and as a result is expected to suspend its twice weekly KHI-Dubai service to accommodate the LHE bound flight. NGO - 4 weekly flights suspended from early January 2008. ZRH - 3 weekly flights to be suspended from January 22nd 2008. BLR / CMB & MLE - each city gets an additional 4th weekly flight. HYD - capacity upgraded to a weekly A 333 + 2 weekly A 332s. MAA - will receive 2 extra flights per week. ADL - frequencies increased to 5 times a week between Dec 4th and Feb 6th. HRE & DTW - both cities will be suspended. IAH - will be served double daily with a B 772ER from Heathrow. JFK - increased from 51 to 55 flights a week. SEA - increased from 10 to 13 flights a week. DFW - will be served daily by a B 772ER from Heathrow. IAD - increased from 21 to 24 flights a week. MCO - increased from daily to 10 flights a week; all from LGW with a B 772ER. 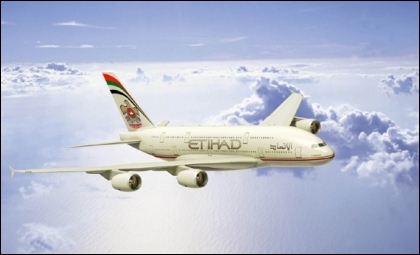 Etihad Airways will be increasing flights to Sydney, Australia effective March 2008 by adding 4 extra weekly flights to the popular AUH-SYD route. As a result, the route will be served 11 times a week but it is not yet clear if the additional 4 weekly flights will be flown nonstop from AUH or via the Far East. According to the latest figures released by EY, the SYD route sees a 68% load factor in Economy, 85% in Business and 78% in First Class. MSN Registration # are 27247/48/49. Delta Airlines has announced that it will be launching new flights to Stockholm, Sweden nonstop from its Atlanta hub effective June 3rd 2008. All flights will be flown nonstop from ATL using a Boeing 767-300ER. These new flights will be flown 6 times a week i.e. no flight on Monday. Virgin Atlantic has officially revealed that due to strong customer demand for its Premium Economy cabin product, it will be increasing the number of seats in this cabin on board its Boeing 747-400s only from 32 to 64 per plane. It will do this by removing many regular economy class seats to make way for this expansion on board. Kuwait Airways has confirmed that it has canceled an order for 12 Boeing 787-800s + 7 A 320-200s from leasing company ALAFCO as it could not get the formal approval of the Kuwaiti Government which is the largest shareholder of the airline. Instead, the Govt has now ordered KU to deal directly with Airbus & Boeing and not involve any third party as part of the process. As a result, the carrier is now in discussions with both airplane manufacturers for an order for 36 aircraft (combination of wide body and narrow body).